The third and last lesson in the first level. Hard copy mail order delivered to your home. 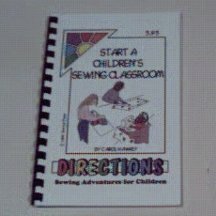 Now we're getting into needing some accurate stitching. Most beginners are a little wobbly at first, just like they are when learning to ride a bicycle. 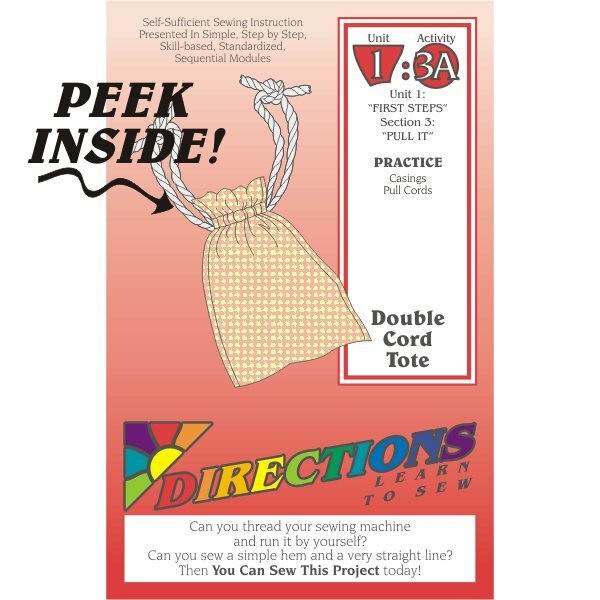 If the stitching on the Tote is wobbly, it will have to be ripped out and done again because the cords won't fit through the casings. So, we wait to make the Tote until after we've had some practice with the Baby Blanket and the Pillow Case. Guess what? No ripping. And, of course, this ALSO ends up going on those field trips, too! 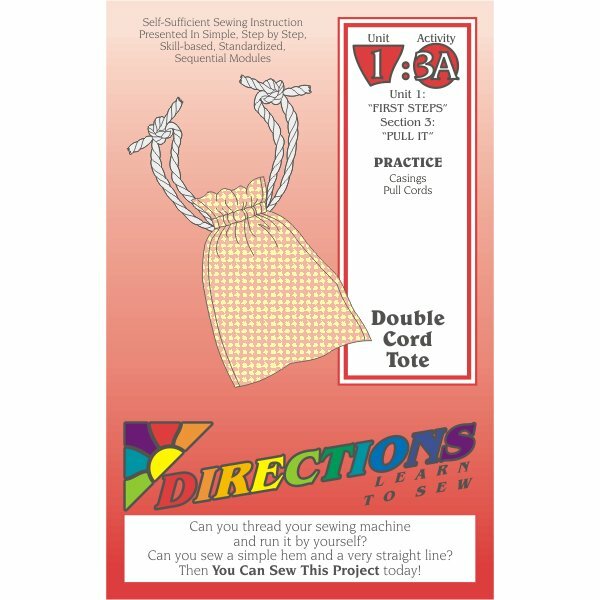 An average student can complete the Double Cord Tote project in this Sewing Lesson Module in about 3 hours.